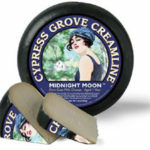 Inspired by our recent participation at the California Artisan Cheese Festival (so many great cheeses at this fun event! 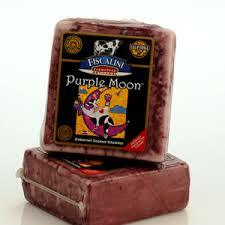 ), we sat down and pondered the influence of cheese on the perception of wine. 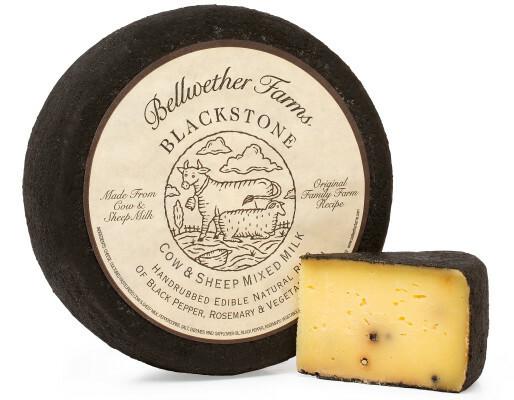 We thought we’d focus on cheeses that are traditionally paired with deeply flavored red wines, specifically aged cheeses with some acidity, but then ventured into some aged sheep and goat cheese, to add some fun to the tasting. Overall, we found that very young and fresh cheeses were best paired with the fresh flavors of approachable white and sparkling wines. With more complex white wines and medium bodied red wines, we liked medium aged dryer and more complex cheeses. More dense, aged cheeses, with more developed flavors, were complemented nicely by the richness and depth of flavorful and robust red wines like the ones we make. Here are a few cheeses we liked, that we thought be great alongside our own Estate 1856 wines. What would work best with this lush wine? 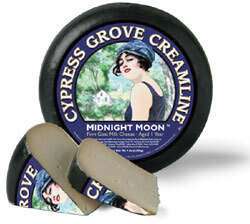 MIDNIGHT MOON by Cypress Grove – a smooth, nutty yet slightly crunchy aged goat milk cheese that allowed us to focus on the incredible fruit in the Malbec while allowing a smoothness and creaminess on the palate! Savor the captivating aromatics of concentrated blackberry with traces of dark chocolate, caramel, fresh ground coffee, and coconut. The silken entry and lush monthfeel showcase layers of delicious dark berry and creamy mocha, along with hints of ripe dark cherry, Valrhona chocolate, and restrained black pepper. Supple tannins and fine-grained oak remain in the background, providing structure without interfering with the luscious, elegant flavors. What would work best with this layered wine? PURPLE MOON by Fiscalini Cheese Co. – a creamy cheddar cheese soaked in wine that enhanced the incredible fruit in the Petit Verdot and created complementary creaminess on the palate. Enticing aromas of ripe berries mingle with a hint of fine herbs and a mineral essence. A concentrated, velvety entry is infused with layers of black raspberry, dark cherry, currant, and a hint of blueberry. Dark chocolate, creamy coffee, and just a trace of eucalyptus appear mid-palate as the flavors expand and linger. Supple tannins and gentle oak notes are found among the flavors, staying in the background yet lending structure and weight to the wine. What would work best with this complex wine? 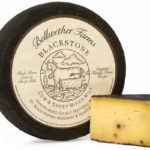 BLACKSTONE by Bellweather Farms – a blended cow and sheep milk aged cheese covered with a thin coat of black pepper..earthy, peppery, spicy with lots of yummy that stood up to the complexity of this wine! In the end, it comes down to what you most enjoy sipping and tasting…so pay a visit to your local cheesemonger, open your favorite bottle of Estate 1856, and bon appetit!